The first sports betting numbers are in from Delaware, and the runaway winner was Delaware Park, with Dover Downs a very distant second and Harrington Raceway an even more distant third. Delaware Park’s revenue for the period from the June 5 launch through June 24 was $264,000 vs. $57,000 for Dover Downs and just $31,000 for Harrington. That 75 percent share for Delaware Park was no surprise to Vernon Kirk, the director of the Delaware Lottery – which oversees the gambling. “It’s all just a matter of geography, with 70 percent of our population being in that county [of New Castle], and the proximity to Baltimore and Philadelphia,” Kirk said of the Stanton, DE racino site in the northern portion of the state. 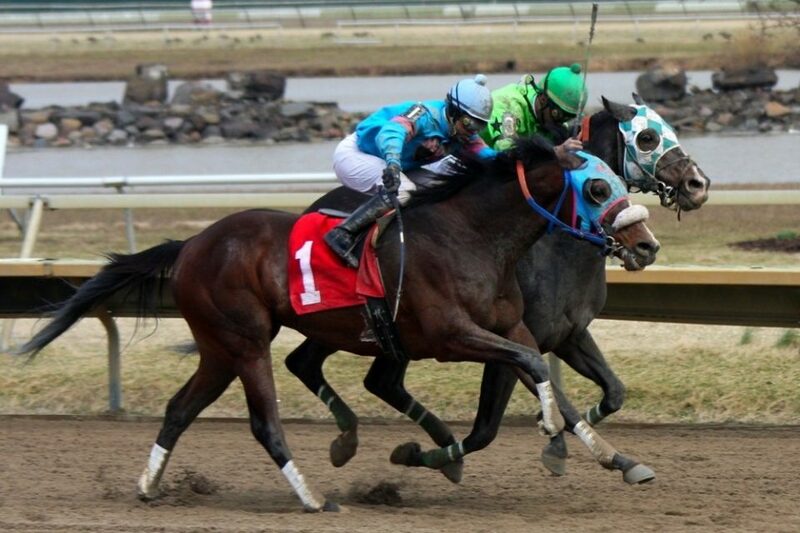 While Delaware Park is about 75 miles from Baltimore, the racino can expect to enjoy some visits from those residents as long as Maryland doesn’t offer similar such gambling. Those voters aren’t expected to have a chance to vote on a state Constitutional amendment before Nov. 2020 at the earliest, giving Delaware at least a few years advantage. Atlantic City already is offering sports betting at Borgata and Ocean Resort (formerly known as Revel), with more casinos likely to offer the betting by this fall. But Kirk said he thinks that many Philadelphians will prefer to visit Delaware Park – about 30 miles away – rather than travel twice as far to Atlantic City. About 75 percent of the betting on baseball, which Kirk said was surprising. Most of that action was gambling on a money line, he said. “But this is all new, so we can’t be sure what to expect,” Kirk said. Next up was the NBA Finals and the World Cup, which equally split another 17 percent of the betting. The NHL Finals, at 2 percent, and a variety of other sports took up the rest. Auto racing, PGA Tour golf, mixed martial arts, and boxing are among the other betting options in Delaware. Once the initial novelty wave settled, Kirk said the racinos were getting about $300,000 a day in combined bets. The racinos pocket just over one-third of revenues, with the state keeping nearly half and betting suppliers and horse racing purses splitting the rest. All told, sports betting revenue clocked in at just over $1 million for the 20-day period. Delaware – the second state to offer Las Vegas-style legal sports betting (a week ahead of New Jersey) – has had NFL parlay-only betting for nearly a decade, an option afforded it due to a quirk in the Professional and Amateur Sports Protection Act of 1992. So NFL fans can bet at the racinos, liquor stores, restaurants and other sites – but only by picking at least three games in tandem. Kirk said he doesn’t know to what extent that gambling will be impacted by the traditional sports betting options at the three racinos. Also to be determined is how popular betting on college football – a new wrinkle – will be. Neither Delaware nor New Jersey allow betting on state schools, but neither has a team threatening to reach the NCAA Division I Top 25, either, so that shouldn’t dampen the revenue figures much. New Jersey’s first-month figures will come out later this week, from Monmouth Park and two Atlantic City casinos. As with online casino gaming (offered only in these two states so far), New Jersey’s numbers are liable to be exponentially larger due to its population density. Once the Meadowlands Racetrack comes aboard this weekend, that disparity surely will grow exponentially.